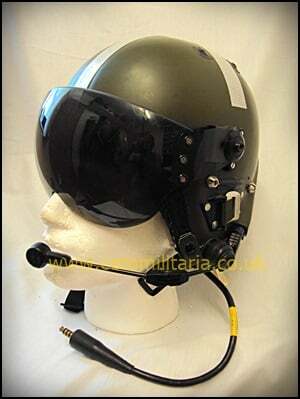 Mark 3C RAF Flying Helmet c/w visors/electricals. 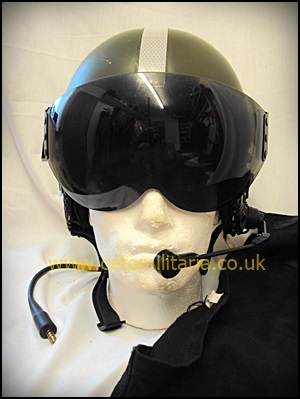 For sale, a Royal Air Force Mk.3C fixed wing/rotary flying helmet. 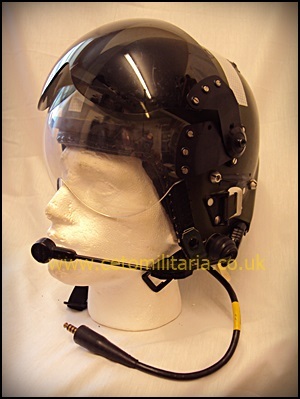 This is wired, with earphones/mic boom etc. 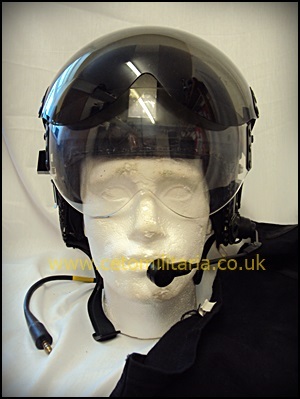 Both visors in place (clear and anti-glare) and operational. Labelled 22c/1303171 Mk3C. Size small. 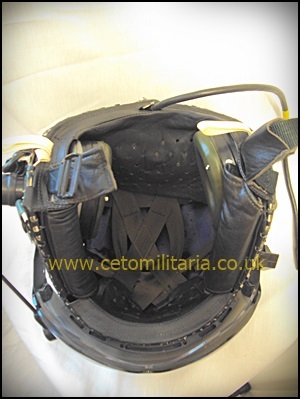 With black cloth helmet bag stores ref. 22c/1302469. 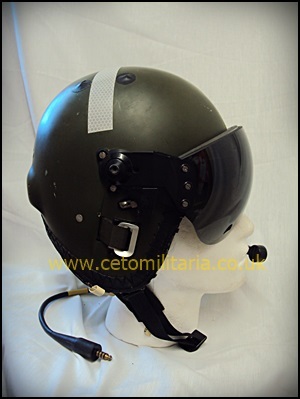 Estimate this would fit upto a 56 head size. Condition: Very good. 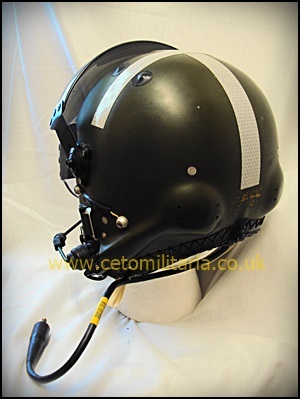 Some light surface scratches to visor, minor scratches etc to helmet shell commensurate with use/age. Electronics untested.